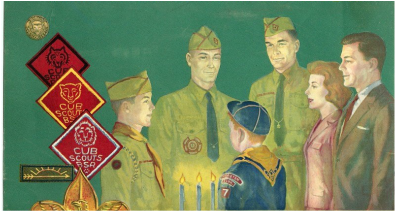 Cub Scout Round Table is for all adults who have volunteered to serve as a registered member of the Boy Scouts of America as a Cub Scout Leader. We meet once per month as a group and discuss together different ways to deliver the Cub Scout program. The emphasis is on pointing leaders to available resources, sharing equipment between scout units, building a list of contacts who do the same sort of work you do in the scouts in your local area, and putting you in contact with the local district and Atlanta Area Council. Start planning now for your Fall Recruiting activities. Presentation and open discussion about how to make an effective recruiting pitch. Come learn about the latest resources available from the Council. How do you plan an exciting campfire program in very little time? ​Best practices for recruiting and keeping adult volunteers in your unit! Importance of immediate recognition. Having fun with advancement ceremonies. Advancement planning by theme. Doing our duty, being respectful, and honoring others are all important parts of being a Cub Scout. We meet in the fellowship hall on the second level. The most convenient entrance to this area is at the "back" of the building as viewed from the entry driveway. You can also text @atcubrt to 81010 to sign up for text reminders!